Based in Honolulu, Hawaiian Airlines is the 8th largest commercial airline in the U.S. It operates flights to mainland U.S. as well as Asia, Australia, New Zealand from Hawaii. The forerunner to airline was formed in 1929 but began using the name Hawaiian from 1941 when the company phased out the use of flying boats. It currently operates a fleet of around 53 planes. What are my Hawaiian Airlines check-in options? Online check-in is available from 24 hours up to 90 minutes before scheduled departure on international flights. You can also use the Hawaiian Airlines mobile app downloadable here for Android or here for iOS. For added peace of mind, check out Cheapflights.com’ guide to 10 things to do before your flight. Those who have reserved Extra Comfort seats and preferred seats. Hawaiian Airlines accepts infants less than 7 days old, but your physician will be required to provide a letter of approval before your flight. Infants must be accompanied by a person 16 years or older, and you will need to also provide a birth certificate or passport for the child. Once a child has reached their second birthday, a purchased seat at an adult fare is required. Children flying on laps are free for North American flights and neighboring islands, but are charged 10% of the accompanying adult fee on international flights. Taxes do not apply to infants without a seat who are traveling within neighboring islands and North America. A parent or any ticketed adult may hold a child aged less than two years in their lap, but the infant must be included in the reservation. In this case, international taxes and percentage of adult fare may apply. If your infant is to travel on international flights, the adult must be aged 18 or older, but for neighboring islands, the adult may be aged 15 or older. If the child is to travel in his or her own seat, you must buy a ticket and bring a safety seat approved by the Federal Aviation Administration (FAA). They will be charged a full adult fare for North American flights and to neighboring islands, 75% on International and 67% between Pago Pago/Papeete and North America. Most safety seats that are approved for use in motor vehicles are acceptable for use in aircraft. The seat must have a solid back and seat, restraint straps installed to securely hold the child and a label indicating approval for use on an aircraft. The label may include a notice such as: “This child restraint system conforms to all Federal Motor Vehicle Safety Standards” and “this restraint is certified for use in motor vehicles and aircrafts” or “this restraint is certified for use in motor vehicles and aircraft.” Seat sizes range between 16.3 inches on Airbus A321 flights in Economy to 21 inches on Business. Check here for more sizing details. Bassinets are available upon request on most international flights. If you’d like more information, visit In-Flight Bassinets for details. The unaccompanied minor service is charged at $100 plus tax each leg to the US or $35 for all non-stop, direct flights using Hawaiian Airlines. Unaccompanied minors are not accepted if their flight includes a connection to/from another airline. The airline will accept up to two unaccompanied minors in an immediate family with the same drop-off/pick-up information for the same mandatory fee, but each additional minor will be charged the mandatory fee. Children under 5 years of age may not travel alone. There are further restrictions here if you plan to use the Hawaiian Airlines unaccompanied minor service. Expectant mothers can fly up to 7 days of their due date if they are in good health. You will require a passenger medical form to be completed by your physician if you plan to fly on an international flight within 30 days of your due date. If your baby is less than seven days old, they also ask you to bring a medical certificate from your doctor. For the safety of you and your baby, Cheapflights has prepared an information checklist here. More information about group services can be found here, and a proposal request can be made here. If you’re traveling with a medical or mobility device, Hawaiian Airlines offers pre-boarding, deplaning and airport assistance. You will need to contact special assistance to make sure your device is approved for travel and make any special assistance requests 48-hours before your flight. If you plan to bring your own wheelchair, you will need to complete and submit a Mobility Device Form here. All approved medical devices must be battery operated. Non-removable lithium-ion batteries must be no more than 100 watt-hours. Mobility and medical devices don’t count toward carry-on limits. If space is limited, the device doesn’t fit in the cabin or if it isn’t required during the flight, it may need to be checked. If you need wheelchair assistance during your trip, you can notify a gate or reservation agent. Please take a look at Cheapflights.com’s guide to traveling with disabilities and guide to traveling with medication to help prep for your trip. Traveling with a service animal, including emotional support animals, is free as long as they meet requirements and are not considered ‘in training’. For further information related to traveling with pets and service animals, check out Cheapflights.com’s guide to pet travel. What are Hawaiian Airlines’ baggage allowance limits and fees? Note that Pualani Platinum members receive the first three bags free, while Pualani Gold members receive the first 2 bags complimentary. Applicable overweight and excess baggage fees will still apply. HawaiianMiles members also receive reduced 1st and 2nd checked baggage fees when flying between the Neighbor Islands, traveling wholly within the State of Hawaii. International flights have varying fees depending on destination, which you can find here. If the bag does not fit in the overhead bin or under the seat in front, you may be asked to check it in. You can also purchase a second seat for fragile and/or bulky items such as guitars or other musical instruments at the currently available fare. For specific information about bringing an instrument or amplifier, click here. Sporting equipment is considered a checked bag with all applicable fees applied per person, per bag and per segment as outlined on the list here in the column on the left. The maximum size for checked baggage, including instruments, is 80 linear inches (206 cm) on domestic flights. Anything larger or heavier than 100 pounds (45kg) will need to be shipped via Cargo. This is also the case for international flights. What additional fees does Hawaiian Airlines charge? Various booking fees apply depending on your ticket class, starting at $25 for reservations made at the airport or through the call center. No fee is applied if your booking took place online. For a full list of fees based on where you are booking from, click here and scroll down to Reservation Fees. 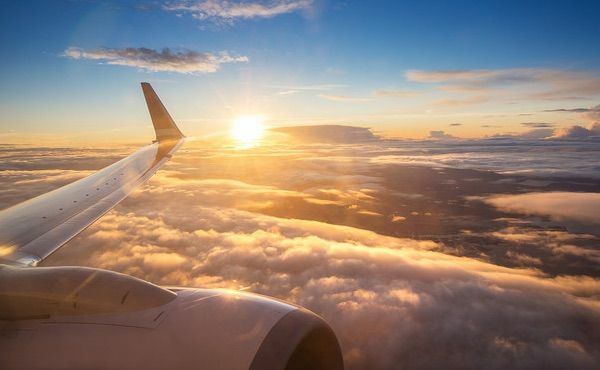 You will receive a full refund of your airfare if you cancel your reservation within 24 hours of your initial booking, unless you initially booked within one week of your flight’s departure. In this case, no credit will be issued. A $200 fee applies if you cancel your flight and book a new ticket. The fare difference is also applicable here. For a full overview of extra fees and upgrade charges, consult the fees page here. You can get a find out more information and file a claim here. What amenities does Hawaiian Airlines offer? Hawaiian Airlines offers in-flight entertainment via Tablet devices. You can rent one at the gate for $15 or in the air for $17. For an overview of what is playing on your flight, click here. Only credit card payment is accepted. Meals are free on North America, South Pacific, and Asia routes, where complimentary drinks are also available. You can see the current offering here. For International flights (excluding Pago Pago and Pipette), vegetarian meals can be arranged by providing at least 48 hours advance notice to the Reservations Department. Vegetarian meals can also be requested through your travel agent. Note that the airline is unable to provide vegetarian meals to guests seated in Business Class. Preferred seats can be booked for between $10 (neighboring island flights) and $50 for North American flights. For some Hawaiian Airlines flights, you can buy your preferred seats in advance online but on other flights, preferred seats will be available when you check in at the airport. Note that preferred seats are not available on codeshare flights. Hawaiian Airlines offers the HawaiianMiles frequent flyer program to regular passengers. You can redeem points for flights, hotel stays, car rentals and destination attractions. As a member, you’ll earn miles when you fly on Hawaiian, Oneworld® and other participating airlines, as well as over 1,000 partners. More information can be found here. Hawaiian Airlines offers Premier Club lounges as well as partner airline lounges at various Hawaiian Airlines’ international destinations. Business Class passengers traveling on any international Hawaiian Airlines-operated flights, receive complimentary access to The Plumeria Lounge at the Honolulu International Airport, 3rd floor, as well as at the corresponding international airports listed above. Pualani Platinum and Pualani Gold members with a coach ticket can purchase a lounge day pass at international airports. Day passes to international lounges range from approximately $20-$40, depending on the foreign exchange rate. More info here. If you notice that your baggage has been damaged upon arrival, Hawaiian Airlines asks that you report this at your arrival airport. You will need to visit your airport agent to complete a Damaged Baggage Report. The agent will give you a 13-character file reference number you will need to use to process your claim. If you were unable to report the issues at the airport, contact them at 1-866-389-6654. In cases of any loss, delay or damage of baggage will not be more than $3,500.00 per passenger. A full overview of liability is available here. The original fleet consisted of two, 8-passenger Sikorsky S-38 amphibian airplanes and the original Bellanca monoplane. On December 7th, a Hawaiian Airlines plane with 24 passengers on board had its cockpit hit by Japanese fire at Pearl Harbor. An engine caught fire, but a stray bullet hit the fire extinguisher, putting out the flames. A New England native but explorer at heart, Melisse has traveled throughout North America, biked through rice paddies in Bali, seen the Northern Lights in Iceland, walked alongside llamas in Machu Picchu and made her way around Europe while studying abroad in London. She is the Head of Content and Social Media for North America at Cheapflights. What do you get in the Turkish Airlines Business Class amenity kit?